People apparently don't know there is a very handy tool hided in the TouchWiz of Samsung, you might ask yourself what is it? Well the tool I am talking about is a screen recording option you can enable to further use it recording everything you find interesting on your screen. I have know idea, so have anyone else, why in the world Samsung set this feature hided from public, but luckily a member of XDA forum had managed to discover it. 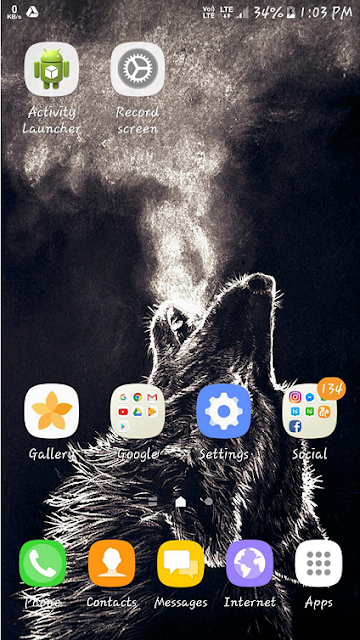 If you have been looking for the best screen recording, and have wondered to the Google Play Store, but so far haven't found the one you think it's best for you may be you should try this app. It's a native screen recorder from Samsung that will likely can work on your Samsung Galaxy device as long as your device is powered with Android 6.0 Marshmallow to Android 7.0 Nougat. So if you are curious to find out the how to stuff of enabling the Samsung native screen recorder on your Samsung Galaxy device then follow guides. Files you need to download to your device. Download Activity Launcher by Adam Szalkowski. 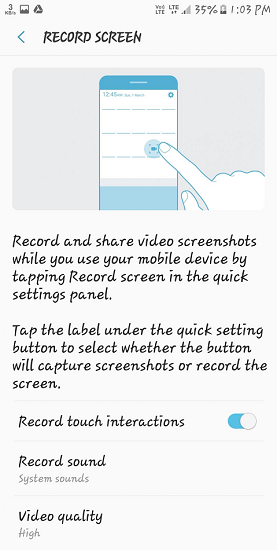 Then Samsung Screen Recorder app apk, from this following link, guys. Download Samsung Screen Recorder app: com.sec.app.screenrecorder.apk. How to enable Samsung Screen Recorder on Android 6.0 or 7.0 devices? Save the files you just downloaded to your device's memory. Then install the apk files like you install any other apk based files on your Android powered devices. Once all the apks fully installed, then to your device's Home Screen to open Activity Launcher app. There you will see 'Recent Activities' interface. Now go to All Activities do so by tapping drop down on top left corner. Find the Recorder on the apps list. When you have found it then tap on it. Long press then choose the second option (activity.settings) then select 'Create Shortcut'. A Record Screen shortcut will appear on the launcher's Home screen. Now you can record everything you find very interesting on your Samsung Galaxy's screen. And if you find this post useful. Then do not be a shy guy to inform all your friends that have Samsung Galaxy based on Android 6.0 Marshmallow or Android 7.0 Nougat. Source how to enable Samsung native screen recorder on any Samsung Galaxy devices. See you again guys on my next posts.